Udta Punjab 5th Day Collection 5 Days UP 1st Tuesday Box Office Business and Occupancy Report: The movie featuring Shahid Kapoor and Alia Bhatt along with Diljit Dosanjh and Kareena Kapoor in leading roles is performing better than expected. Udta Punjab collections are taking heights with each successive day. The movie stays a significant comeback move for Shahid Kapoor whose career had almost ended from the last set of films. UdtaPunjab is a hit. It will be a super hit if collections cross 100 crores WorldWide benchmark within 2 weeks. The movie collection for Saturday was 11.25 crore rupees, which was higher than its Friday collections of 10.05 crore rupees. Having no major league star actor in the row, the movie tickets sold with Anurag Kashyap’s name association. Despite being not directed by him, the movie has a great part which can be readily associated with being a Kashyap’s production. Overall the business for the first weekend was just next to awesome, considering the earlier releases and response of audience on them. Kareena Kapoor also needed much awaited super hit film after her marriage, and she successfully achieved the same after killer response by the public on the movie. On Monday, the movie collected 4.50 crore rupees as its box office collections. While on Tuesday, being International Yoga Day, it took a height and reached 5.70 crore rupees as total earnings from the domestic market. First five days accumulation of the film remains total to 44 crore rupees from Domestic Market in total which is itself a great response. The flick entered in top 5 movies of 2016 with this change. Airlift, Fan, and others seek a way exit after dense competition from a film with a limited budget. 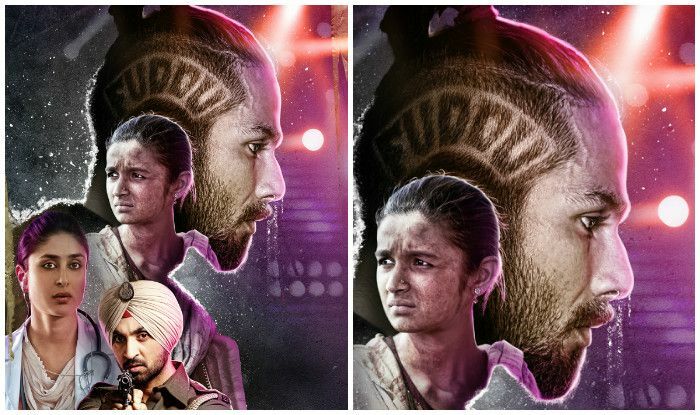 On day 1, Udta Punjab’s occupancy was not up to the mark and the movie managed to make about 10.05 crores. Even Taran Adarsh revealed that the film had an increase of 11.94% growth when it comes to occupancy in Delhi and Punjab. While on the third day, which was Sunday, audience rushed to the theaters with their families and the occupancy sheet got a spike on Sunday. The film did manage to crack 12.70 cr approx by the end of first three days. The final report from the overseas market has not arrived yet. But it was expected that the movie had received a good response there too. Experts estimate the first 5 days collections of Udta Punjab from overseas market to 20 crore rupees. The first five days worldwide collections were around 64 crore rupees. The talkie has managed to get around 2400-2500 screens in India because of ongoing controversy. 2400 screens is a significant number when the audience reach is limited. However, the movie didn’t receive any political controversy after its initial release. The safe screening was possible because of High Court’s judgment. It was the first time in Bollywood when a movie leaked before and performed so high. Many things happened for the first time. UP remains a perfect example of the dynamic environment of our entertainment industry.